It is the old saying ‘health is wealth’. Health is important for human being. If you are not healthy so you can’t do anything. Therefore, for a successful life, health is the essential element for everyone. To keep yourself healthy, it is necessary to keep the environment healthy. Environmental pollution never let you live healthy. As we are living in the age of science and technology. Where the technology provides benefit to the human but on the other side the invention of the automobile, machinery and industries also become the source of pollution. Pollution ruins the natural environment and contaminates it. Most of the diseases are caused by environmental pollution. There are numerous types of pollution includes air pollution which is caused by smoke emitted from industries and vehicles. This pollution cause lungs diseases. The wastage of plastic products causes plastic pollution that is injurious to marine life, wildlife and humans. There are also many different types of environmental pollution that is hazardous to human life. These pollution should be eliminated from the environment in order to protect the health of people. Trees are also important for the surrounding. But due to the pollution, the soil is also contaminated and never let plants to grow properly. One of the main damages that is due to the pollution is the breaking of an ozone layer. The pollution damage the ozone layer due to which the lives of the humans are at the great risk. Therefore, in order to protect the world from pollution, it is the duty of everyone to make their surroundings neat and clean. But from the research, it is found that more than half of the world is polluted. Everyone is busy in their personal life and never worry about the health of others. So in order to stop pollution Earth Day comes into being. The main aim of the earth day is to spread awareness in the people especially in the young youth about the environment safety. Earth day is celebrated on 22 April every year. First Earth Day is celebrated on 1970 which is founded by Gaylord Nelson. A large number of people take part in it. They work very hard to make the environment clean and free from all type of pollution. At that time colleges and universities take an active part in it. Along with them more than ten thousand schools including primary and secondary and many communities of United States also take part in it. Now this event is followed by more than 192 countries in order to make their country healthy. This day is coordinated by Earth Day Network all over the world. On this day no holiday is provided to the people but the group of willing people work together to make their places clean. This day includes the activities of planting trees and pick up the garbage from the roads. 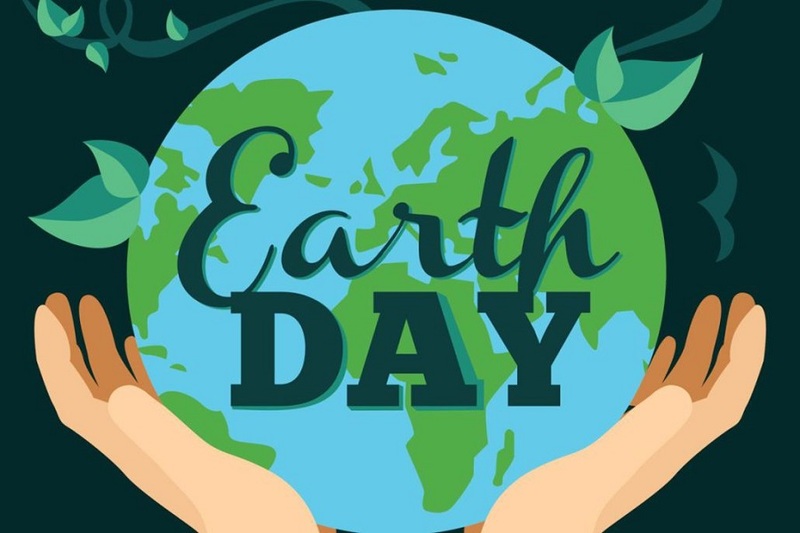 It is not all, some of the government and non-government organizations organized many programs that provide the knowledge to the people about the goals of the Earth Day. Many seminars also held in the different part of the country to provide awareness to the people about the poor condition of their country. In the seminars, they also guided that how they protect their country from damage and make it healthy. Presentations through videos are also provided to them and encourage them that how they stop global warming. Different types of awareness program are also broadcast on the television that is also related to the cleanliness. The major step to make surround healthy is to plant a tree. You can do plantation in your garden by bury a few seeds and the soil or if you don’t have any garden then just bury the seed in the flower pot and water it daily. Through this way, you can generate fresh oxygen in the environment. Nowadays people are not saving energy. They keep their computer open all day long without any use which consumes 1000 kilowatts electricity per year and it is equal to more than ton carbon emission per year. Therefore, on Earth Day take a decision that you try to save power. You cannot open your electronic appliances all day if you can’t use them. Charge your accessories only when the battery is completely drained. Turn off the lights and fan when you leave the room. Everyday large amount of water is waste. When you are in the bathroom, don’t keep the tap open when you are not using water. While brush your teeth, washing your face or taking shower don’t keep the water running continuously from the tap. Keep the tap off when you are not using the water. By throwing the plastic bags in the garbage cause death of marine life and cattle. Therefore, avoid using plastic bags. Use cloth bags or if it is not possible then never throw plastic bags in the trash, keep them at your home and reuse them when required. The gases emitted from the vehicles and industries are the reason of air pollution and cause global warming. Therefore, try to use less fuel. For shorter distance, it is better to do walk rather than driving. As walking is also a good exercise for health and you can also keep environment pollution free. The aim of earth day in this year 2018 is to eliminate plastic pollution. Wastage of plastic bags can kill marine life due to which the life of the human is also effected. Therefore, avoid using plastic bags. If you can’t do it then don’t waste it. For the next time when you need any plastic bag reuse your previous plastic bags. In this way, you can take an active part in eliminating plastic pollution and protect many lives from the serious disease.